She is the first to be charged with organizing the vote. The Security Service of Ukraine (SBU) and prosecutors detained a Ukrainian national, who was a proxy of Russian presidential candidate and canvassed signatures in Crimea and Sevastopol for his nomination, at the Chonhar checkpoint on Ukraine's administrative border with Crimea. "By taking part in the official procedure for arranging the illegal Russian presidential election in the temporarily occupied territory of Crimea and Sevastopol, this Ukrainian national helped the the Russian Federation and the all-Russian NGO Volunteers of Victory (Volontery Pobedy) in holding acts of sabotage against Ukraine to the detriment of sovereignty, territorial integrity and inviolability," he said. The woman was detained on high treason charges. 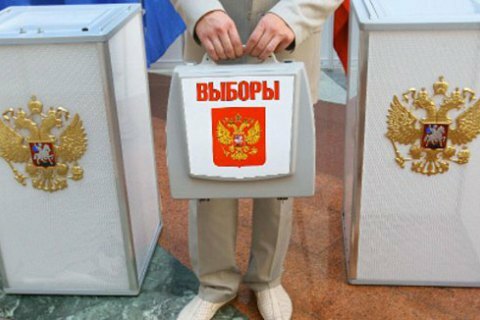 As reported earlier, the Ukrainian authorities promised to prosecute those who organized voting in the Russian presidential election in Crimea.